But now thus says the LORD, he who created you, O Jacob, he who formed you, O Israel: Do not fear, for I have redeemed you; I have called you by name, you are mine. When you pass through the waters, I will be with you; and through the rivers, they shall not overwhelm you; when you walk through fire you shall not be burned, and the flame shall not consume you. For I am the LORD your God, the Holy One of Israel, your Savior. I give Egypt as your ransom, Ethiopia and Seba in exchange for you. Because you are precious in my sight, and honored, and I love you, I give people in return for you, nations in exchange for your life. Do not fear, for I am with you; I will bring your offspring from the east, and from the west I will gather you; I will say to the north, "Give them up," and to the south, "Do not withhold; bring my sons from far away and my daughters from the end of the earth-- everyone who is called by my name, whom I created for my glory, whom I formed and made." Bring forth the people who are blind, yet have eyes, who are deaf, yet have ears! Let all the nations gather together, and let the peoples assemble. Who among them declared this, and foretold to us the former things? Let them bring their witnesses to justify them, and let them hear and say, "It is true." You are my witnesses, says the LORD, and my servant whom I have chosen, so that you may know and believe me and understand that I am he. Before me no god was formed, nor shall there be any after me. I, I am the LORD, and besides me there is no savior. I declared and saved and proclaimed, when there was no strange god among you; and you are my witnesses, says the LORD. I am God, and also henceforth I am He; there is no one who can deliver from my hand; I work and who can hinder it? Morning Devotions with Cap'n Kenny - "A Longing for Heaven"
Have you ever been homesick? Maybe you were in a really beautiful place. But as they say, there's no place like home. I think I'm becoming more of a homebody as I get older. As you get a little older, you start to like things a certain way. No matter where you are, it's never quite like home. There's a home waiting for every child of God, a home we all should be homesick for. It's the future destination of all believers, and it's called heaven. And though we have never been to heaven, we still have something God has built within us that gives us this homesickness, this desire to be there. Have you ever had one of those moments when everything seemed just perfect, as though it came straight out of a movie? Maybe it was an amazing sunset, a perfect star-filled night, or a special moment with someone you love. You thought, "This is so great. I want my entire life to be exactly like this moment." In a limited sense you had a glimpse of eternity. You had a taste of what is ahead, something that is perfect, flawless. But you can't experience it on this earth. And until that day, you always will be a little bit homesick for heaven. I love the way the apostle Paul put it when he wrote, "I am torn between the two: I desire to depart and be with Christ, which is better by far; but it is more necessary for you that I remain..." (Philippians 1:23–24). When Jesus Christ is at the forefront of your life, you can live a life that is rich and full on this earth and know that beyond the grave, there is something better: that wonderful place called heaven. Un Dia a la Vez - ¿Por qué voy a desanimarme? El desánimo, la tristeza, la frustración y la baja autoestima son aliados para hacernos infelices. Dios, en su Palabra, dice: «El gozo del Señor es nuestra fortaleza» (Nehemías 8:10). Si comprendemos esta frase, veremos que este consejo que nos dejó Dios lo hizo como un Padre que sabía que tendríamos dificultades y momentos de prueba. Entonces, si nos manteníamos con gozo, que significa estar en Él, creyendo que está de nuestro lado, que no nos abandona en las situaciones que se presentan, sino que en cambio nos da la fuerza, tendremos la sabiduría y el entendimiento para escuchar su voz y salir adelante triunfantes. Eso nos ayudará a ver y vivir la vida de otra manera. Esto no quiere decir que no sea válido sentirse mal. Somos humanos, pero nuestra manera de pensar debe cambiar y acoplarse a la mentalidad de Dios que solo espera que tú y yo seamos felices. Es posible que en este mismo momento estés pasando la peor situación de tu vida. A lo mejor estás considerando si vale la pena seguir adelante. Por eso, Dios en este día te dice: «No pierdas la esperanza, no te desanimes, pues yo estoy contigo y te sacaré adelante. Así, podrás reconocer que yo soy tu Dios. Solo cree en mí». Trees were not plentiful in Israel and most grew by sources of water like an oasis or a stream. Jeremiah’s simile indicates a person with confidence in the Lord is like a deep-rooted tree by the stream whose leaves never die but are always green. Aunty Esther was the first Christian I met inside China thirty years ago. She was a diminutive elderly Chinese medical doctor with a soft, kind voice that masks the many years of suffering through which she has passed. “During the Cultural Revolution,” she says, “I was called in by my superior one day. At that time I was in charge of eight large pediatric wards in my hospital. “The communists were cracking down on people who did not toe the current party line. My superior warned me that I should deny my faith and join the communist party or I may have to face the serious consequences of job demotion and salary reduction. “A few days later, I was rudely awakened by four nurses who roughly pulled me from my bed and marched me to the hospital. En route they stopped at a barbershop and shaved off half of my hair. In front of the rest of the staff, I was confronted to renounce my faith in Christ and join the communist party. Esther continues. For the next eleven years she lived in the basement of the hospital and obediently submitted to her new task—cleaning the floors and toilets of the hospital wards that she previously headed. Her already meagre salary of 50 dollars per month was reduced to 15 dollars. And she had to buy the cleaning materials from it. The rest was used up on food. When the Cultural Revolution period ended, Aunty Esther was reinstated in her original job and given back pay for all that she had been deprived during those eleven years. This amount enabled her to send one of her children to the USA for higher education. She faithfully carried on her public witness for Jesus until the day she died in her late nineties. RESPONSE: I will allow my roots to grow deep in the Lord so that my leaves will always be green. PRAYER: Lord, thank You for the example of faithful Aunty Esther whose life reflected Your love. Today’s reading is drawn from Song of Solomon 5:10; 1:5-6. The marriage celebrated in the Song of Solomon appears to have been a match between two members of different ethnic groups. The groom, presumably Solomon, is described as “white and ruddy” (Song 5:10), while the bride is “dark” like the black tents of Kedar (Song 1:5). Marriages across ethnic and racial lines were not uncommon in the ancient world (for example, Num. 12:1; Ruth 1:4; 1 Kin. 11:1), and the Bible never condemns or prohibits interracial unions. The ancient Israelites were forbidden to marry Canaanites, Ammonites, or Moabites (Deut. 7:1–4; 23:3), but these prohibitions were not based on ethnicity but on religious, moral, and political considerations. God created all the diverse peoples of the earth. Differences in background and appearance that can be hard for some people to accept are a creation of God Himself. And His love extends to all, so it is unsurprising that His Word includes a celebration of marriage between two people of different ethnicities. 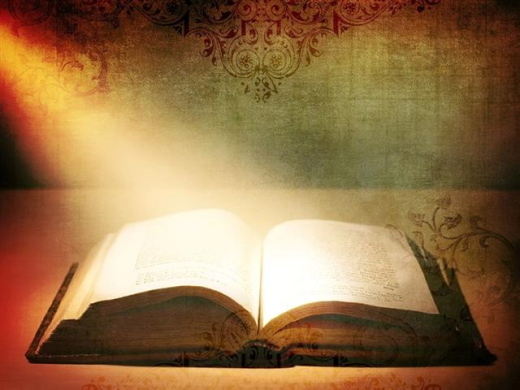 LHM Daily Devotion - "Satan's Scripture"
"The devil can cite Scripture for his purpose. An evil soul producing holy witness is like a villain with a smiling cheek, a goodly apple rotten at the heart. O, what a goodly outside falsehood hath!" Shakespeare was merely underlining a fact that was shown at Jesus' wilderness temptation: the devil knows Scripture and is willing to quote it and bend it to his purpose. It was a technique he has used in the past and which he still employs today. Case in point: 24-year-old Sandra Summaya of Uganda. This past Christmas Day she publicly confessed her faith in the Savior. But that was not all she did on that festival occasion. She told the newspapers: "I later shared my testimony with my brother, who outrightly accused me of being an infidel and an outcast from the family and the Muslim community." Summaya confessed: "I felt great pain inside me because of the insults." The following Sunday, Summaya's family gathered together to celebrate the New Year with a meal. 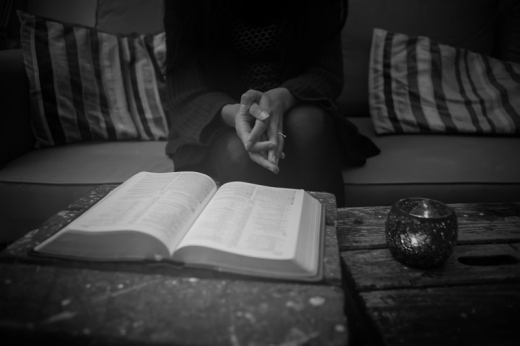 At the high point of the gathering, one of Summaya's uncles read a Bible verse, the verse at the head of this devotion, and suggested it meant God would protect her from harm, including illness from ingesting poison. The uncle asked, "Do you believe that Issa (Jesus) is able to protect you from poison as written in the Bible?" Summaya answered, "Yes." With that confession, the family forced her to ingest rat poison to confirm her faith in Scripture. In a few moments, Summaya became ill and asked to be taken to a doctor. Instead of helping her, the family took her outside the home, tied her with ropes to a tree, and left her to die. Eventually, her cries were heard by a Christian who rescued her and took her for emergency attention. Summaya is expected to live. 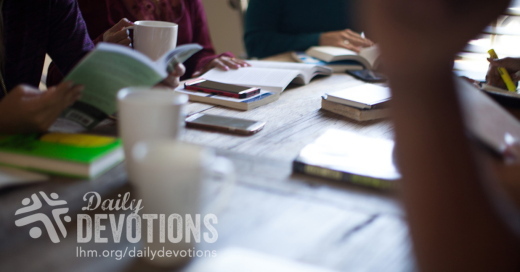 My friends, it is important for us to realize that the devil is constantly taking Scripture, ripping it out of context, subverting God's Words, and turning them to his own purpose. In some cases -- like the one reported above -- he is blatant and bold. In the Western world, he is more subtle as He twists God's Words to say something completely contrary to what the Lord has intended. By God's grace, may we know and cling to the true Word and help those who are confused by Satan's lies to see the truth and love of God, which is begun and finished in the Savior, our Redeemer, Jesus Christ. THE PRAYER: Dear Lord, bless and protect new Christians like Sandra Summaya. Send Your angels to preserve the faith and lives of those who are being persecuted. 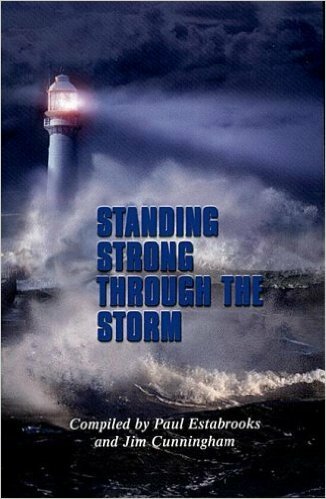 At the same time, I ask You will keep all believers strong in the faith and safe from the lies of Satan. This I ask in my Savior's Name. Amen. Imagine a world without wind. Lakes would be calm. Falling leaves wouldn’t blow in the streets. But in still air, who would expect trees to suddenly fall over? That’s what happened in a three-acre glass dome built in the Arizona desert. Trees growing inside a huge windless bubble called Biosphere 2 grew faster than normal until suddenly collapsing under their own weight. Project researchers eventually came up with an explanation. These trees needed wind stress to grow strong. Jesus let His disciples experience gale-force winds to strengthen their faith ( Mark 4:36–41). During a night crossing of familiar waters, a sudden storm proved too much even for these seasoned fishermen. Wind and waves were swamping their boat while an exhausted Jesus slept in the stern. In a panic they woke Him. Didn’t it bother their Teacher that they were about to die? What was He thinking? Then they began to find out. Jesus told the wind and waves to be quiet—and asked His friends why they still had no faith in Him. If the wind had not blown, these disciples would never have asked, “Who is this? 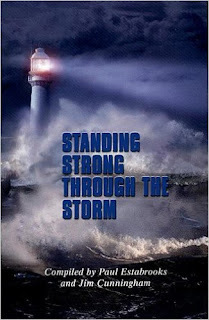 Even the winds and the waves obey him!” (Mark 4:41). Today, life in a protective bubble might sound good. But how strong would our faith be if we couldn’t discover for ourselves His reassuring “be still” when the winds of circumstance howl? Father in heaven, please help us to remember that anything that frightens us comes with an invitation to find the strength of knowing and trusting You. … ¿Quién es éste, que aun el viento y el mar le obedecen? (Marcos 4:41). Imagina un mundo sin viento. Lagos calmos; hojas caídas que no vuelan. ¿Esperaría alguien que un árbol cayera de repente? Sin embargo, esto fue lo que sucedió en un gran domo de vidrio construido en un desierto. Los árboles dentro de esa burbuja sin viento, llamada Bioesfera 2, crecían más rápido de lo normal, hasta que, repentinamente, colapsaban por su propio peso. Los investigadores explicaron la razón: esos árboles necesitaban la presión del viento para crecer fuertes. Jesús permitió que sus discípulos enfrentaran vientos fuertes para que su fe se fortaleciera (Marcos 4:36-41). Mientras cruzaban aguas conocidas, una tormenta repentina fue demasiado aun para estos pescadores experimentados. El viento y las olas agitaban la barca, mientras Jesús, exhausto, dormía en la popa. Aterrorizados, lo despertaron. ¿No le importaba a su Maestro que murieran? Entonces, Jesús ordenó al viento y las olas que se aquietaran, y les preguntó a sus amigos por qué aún no tenían fe en Él. 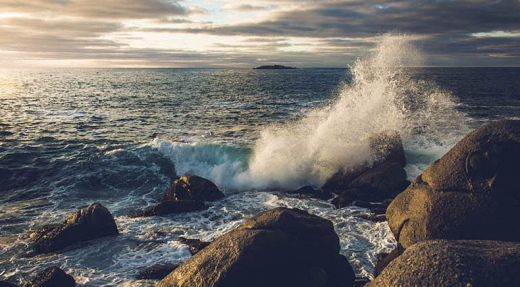 Si el viento no hubiese soplado, jamás habrían preguntado: «¿Quién es éste, que aun el viento y el mar le obedecen?» (Marcos 4:41). Vivir en una burbuja puede parecer bueno, pero ¿sería firme nuestra fe si no aprendiéramos a superar circunstancias tormentosas? Señor, ayúdame a recordar tu propósito en las dificultades. Unser Täglich Brot - Vom Winde verweht? Was wäre, wenn es keinen Wind gäbe? Die See wäre ruhig und in den Straßen würden keine Blätter herumwirbeln. Wer würde erwarten, dass bei völliger Windstille ein Baum umfällt? Genau das aber passierte unter einer riesigen Glaskuppel in der Wüste von Arizona. Die Bäume in Biosphäre 2, einem in sich geschlossenen Ökosystem, wuchsen zwar schneller als normal, aber dann brachen sie unter ihrem eigenen Gewicht zusammen. Als Ursache fanden Forscher heraus, dass Bäume Wind brauchen, um stark zu werden. Jesus ließ seine Jünger einen heftigen Sturm erleben, um ihren Glauben zu stärken (Markus 4,36-41). Während einer nächtlichen Überfahrt über den vertrauten See kam plötzlich ein Wind auf, wie ihn selbst die erfahrenen Fischer noch nicht erlebt hatten. Wind und Wellen schlugen über das Boot, und Jesus schlief. Voller Panik rüttelten sie ihn wach. War es ihm egal, ob sie umkamen? Was dachte er denn? Sie erfuhren es bald. Jesus befahl Wind und Wellen, still zu sein—und fragte sie, wieso sie ihm noch immer nicht glaubten. Hätte der Wind nicht geblasen, hätten sie nie gefragt: „Wer ist der? Auch Wind und Meer sind ihm gehorsam!“ (Markus 4,41). Ein Leben in einem geschützten Raum mag uns verlockend erscheinen. Aber wie stark wäre unser Glaube, wenn wir nicht selbst Gottes „Schweig“ erleben würden, wenn die Winde um uns toben? Himmlischer Vater, bitte erinnere uns immer wieder daran, dass Dinge, die uns Angst machen, jedes mal auch eine Einladung sind, dir zu vertrauen. Представьте себе мир без ветра. На поверхности озер не будет ряби. Опадающие листья не будут носиться по улицам. В таком безветрии кто будет ожидать, что деревья начнут падать? Но именно это произошло в оранжерее в Аризонской пустыне. Деревья, посаженные в огромном стеклянном пузыре, названном «Биосфера 2», росли быстрее обычного, пока вдруг не стали валиться под собственным весом. Вскоре появилось и объяснение: деревьям был необходим ветер, чтобы развить прочный ствол. Иисус допустил Своим ученикам пережить бурный ветер, чтобы укрепить их веру (Мк. 4:36-41). Во время ночного плавания по знакомым водам на них внезапно обрушился шторм, приведя в ужас бывалых рыбаков. Волны захлестывали лодку, а утомленный Иисус спал на корме. В панике они разбудили Его. «Разве их Учителя не беспокоит, что они почти утонули? О чем Он думает?» А затем случилось чудо. Иисус приказал ветру и волнам утихнуть, после чего обратился к ученикам с вопросом, почему они до сих пор не верят в Него. Если бы ветер не поднялся в ту ночь, ученики не спросили бы: «Кто же Сей, что и ветер, и море повинуются Ему?» (Мк. 4:41). Сегодня жизнь под защитным колпаком может казаться привлекательной. Но насколько твердой будет наша вера, если мы не откроем для себя Его силу, когда ветры обстоятельств умолкнут? Отче Небесный, помоги нам помнить, что все, что нас пугает, позволяет нам обрести силу знания Тебя и упования на Тебя. В дополнение к рассуждению, посмотрите видеоролик: «Я – Бог». Imaginez un monde sans vent. Les lacs seraient calmes et les feuilles mortes n’envahiraient pas les rues. Reste que, dans ce cas, qui s’attendrait à ce que des arbres tombent soudain ? Or, c’est précisément ce qui est arrivé dans un dôme forestier de verre bâti dans le désert de l’Arizona. Des arbres grandissant dans une énorme bulle sans vent, la Biosphère 2, poussaient plus vite que la normale avant de s’écrouler subitement sous leur propre poids. Les chercheurs de ce projet ont fini par en trouver l’explication. Ces arbres avaient besoin de subir le stress des vents pour se fortifier. Jésus a permis à ses disciples de faire l’expérience de bourrasques pour affermir leur foi (MC 4.36‑41). Pendant la traversée tardive d’un lac qui leur était familier, une tempête s’est soudain levée, trop forte même pour ces pêcheurs aguerris. Vents et vagues s’engouffraient dans leur barque tandis que Jésus, épuisé, dormait paisiblement. Paniqués, ils l’ont réveillé. Cela ne dérangeait‑il pas leur Maître qu’ils risquent la mort ? À quoi pensait‑il donc ? Puis ils ont commencé à découvrir le fin mot de l’histoire. Jésus a ordonné au vent et aux vagues de se calmer, pour ensuite demander à ses amis pourquoi ils n’avaient toujours pas confiance en lui. Il se peut que la vie dans une bulle protectrice nous semble avantageuse, mais combien notre foi grandirait‑elle dans pareil contexte ?